Richfield is a beautiful, sprawling village in Washington County, nestled in the rolling hills of Kettle Moraine. There are many beautiful homes ranging from small starter homes to sprawling mansions located an acres of private and wooded property, all in the shadow of nearby Holy Hill. 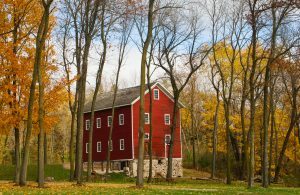 Richfield offers the beauty of small town living, yet is just minutes away from Germantown and Menomonee Falls, and has easy access to US 45 to head north or towards Milwaukee. The village is host to all the necessary amenities to make it even a more desirable location for your NextHome- a large grocery store, health clinic and pharmacy, a famous out of the way Italian steakhouse, a computer repair shop, churches, locally owned gas stations, a barber shop and a beauty spa, a Jazzercise studio, and much more! The unincorporated communities of Colgate and Hubertus are located partially in Richfield, as well. Have a look at the available homes for sale in the area, and give the agents at NextHome Lake Country a call!